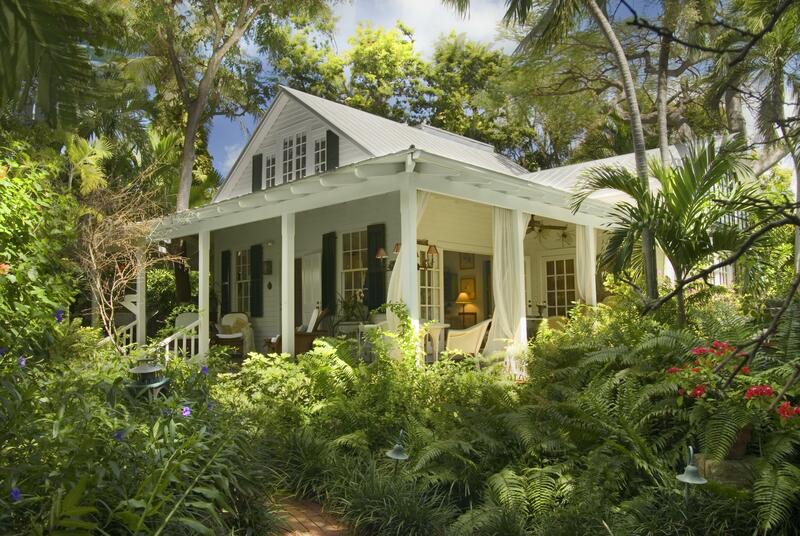 SELLING YOUR ISLAND COTTAGE? 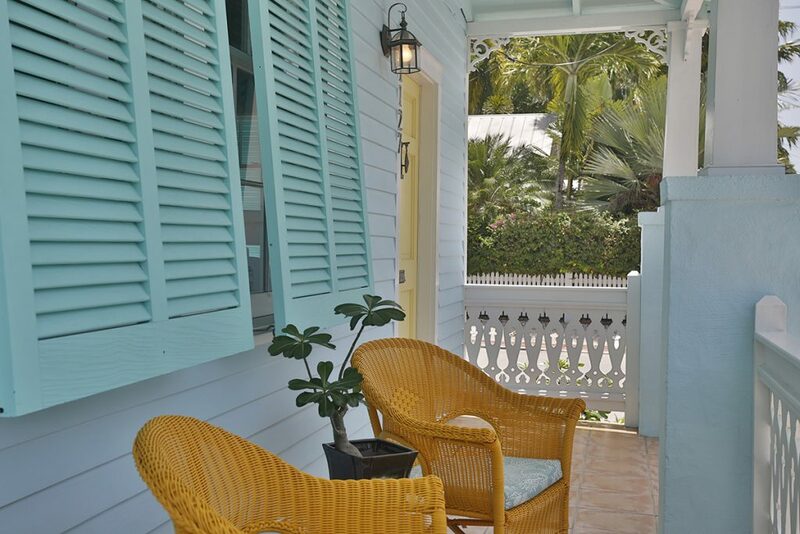 COLOR IT KEY WEST! 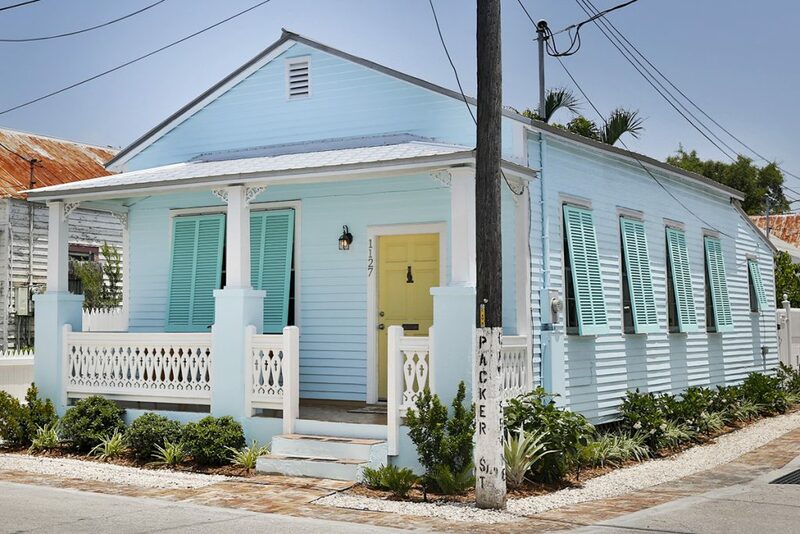 Key West colors first entered the world’s consciousness in the 1970’s, when free-spirited locals began painting their historic cottages a spectrum of tropical hues. 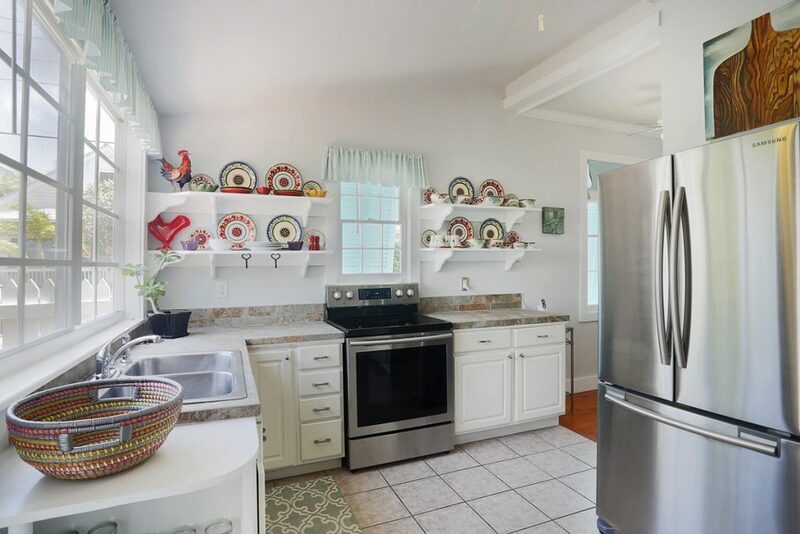 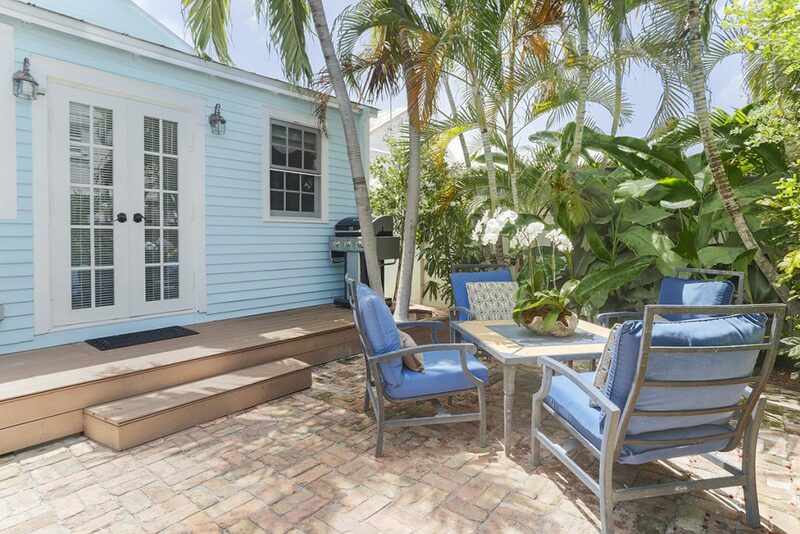 Today, buyers looking to purchase their Key West dream cottages expect them to be painted to match the colorful, idealized images that have been imprinted on their minds over decades. 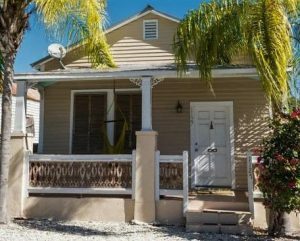 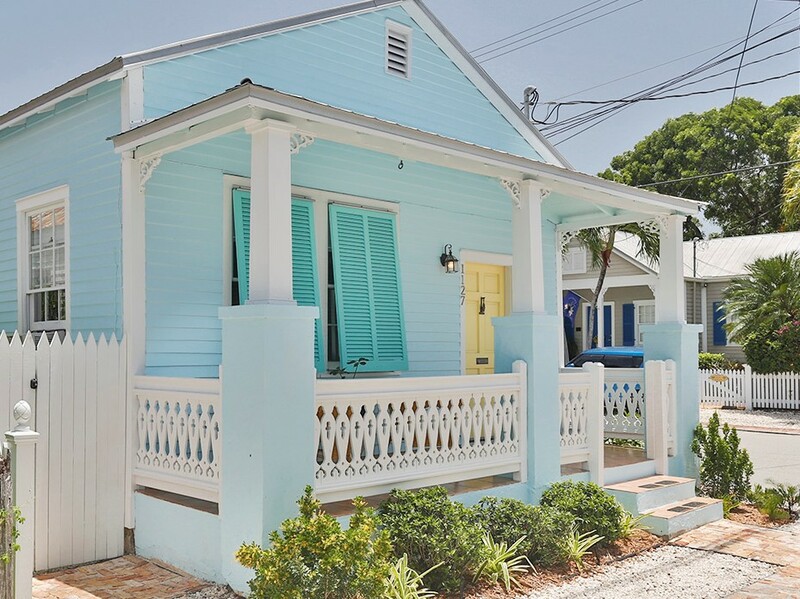 Beautifully painted in Key West colors, the quintessential conch cottage at 1127 Packer Street radiates captivating curb appeal. 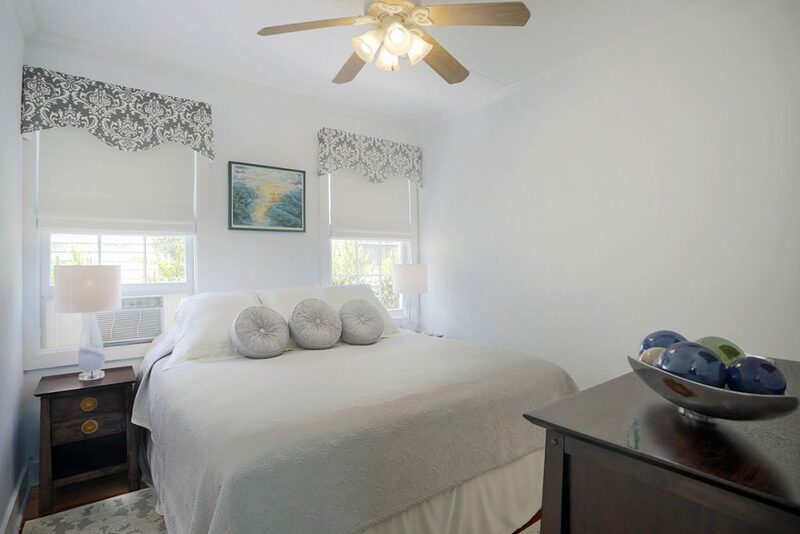 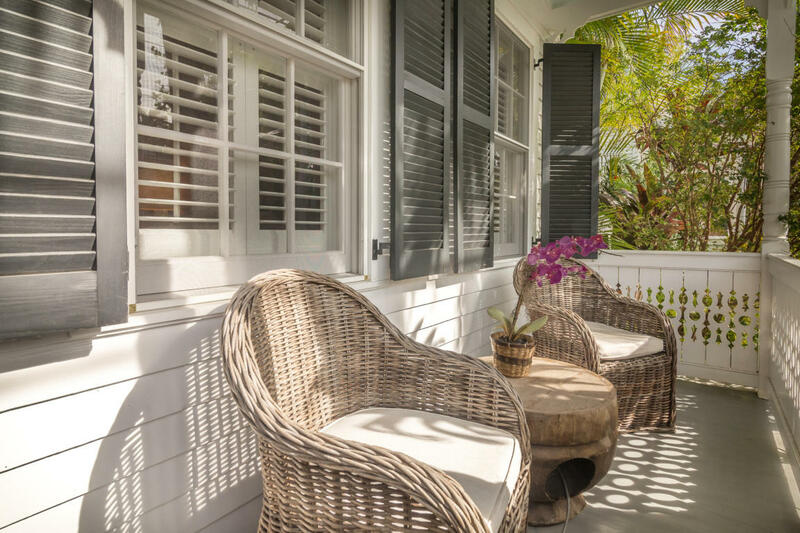 We have found that our clients respond less favorably to cottages that are painted in the traditional (white with black or dark green shutters) Key West color scheme. 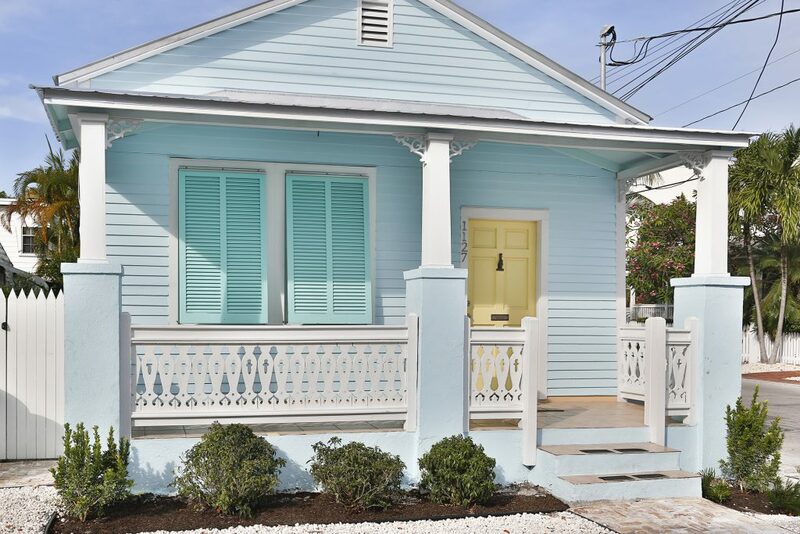 They immediately see dollar signs when they strongly feel the necessity to paint a home’s exterior to make it look like the “cute” conch cottage of their dreams. 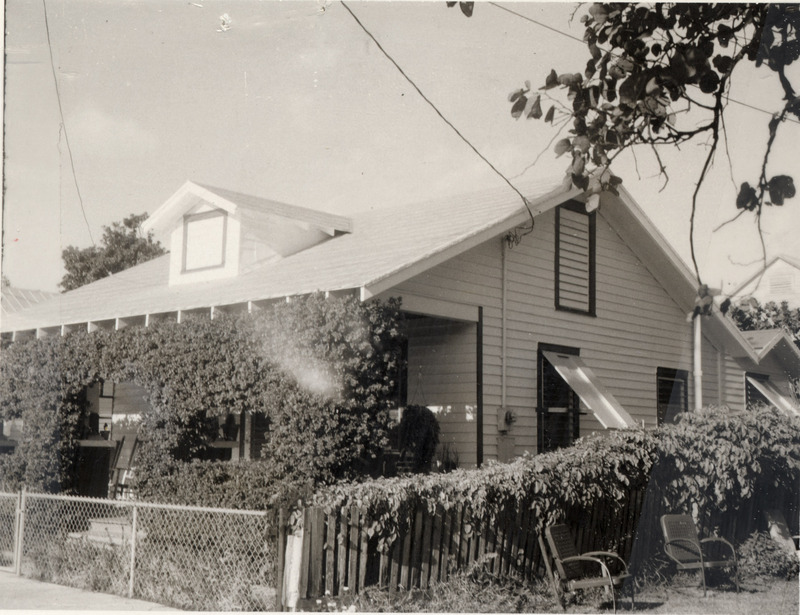 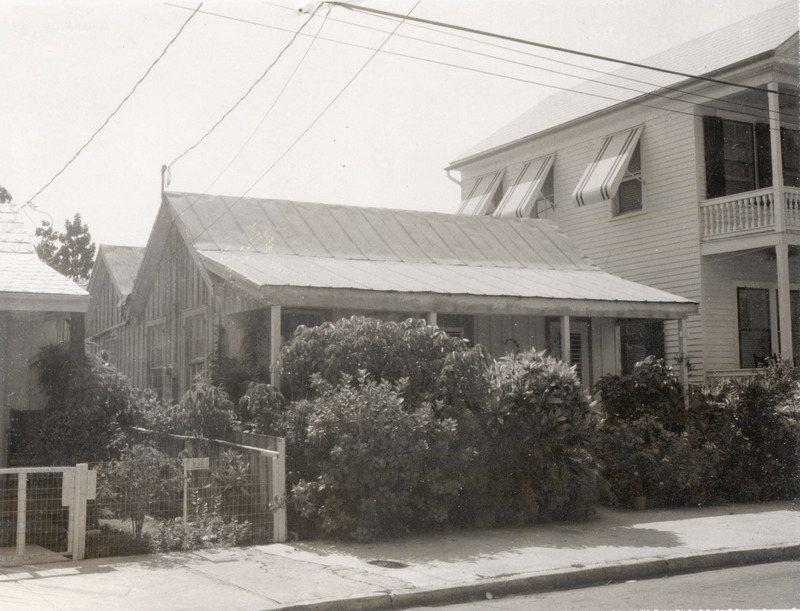 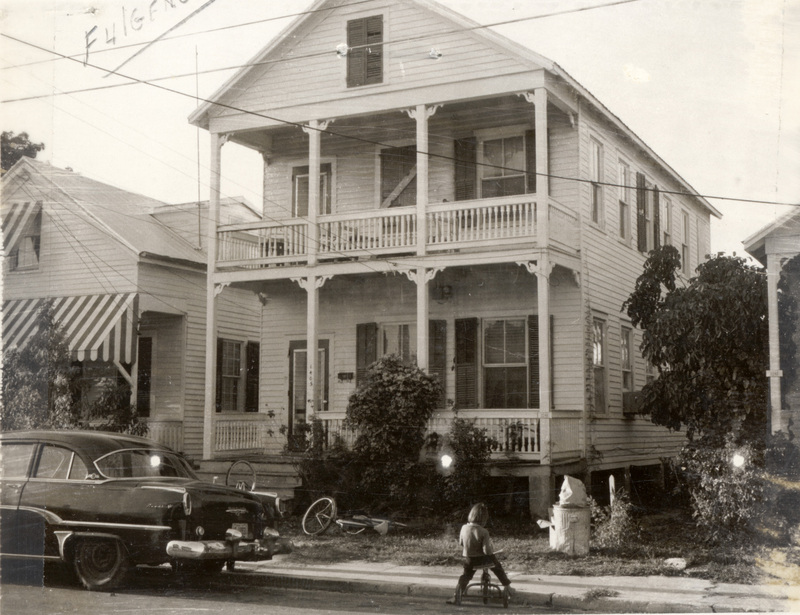 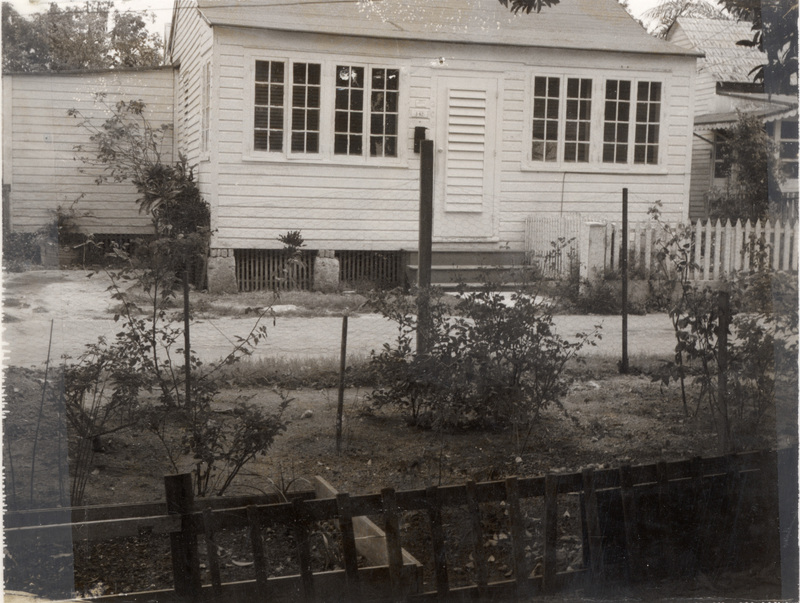 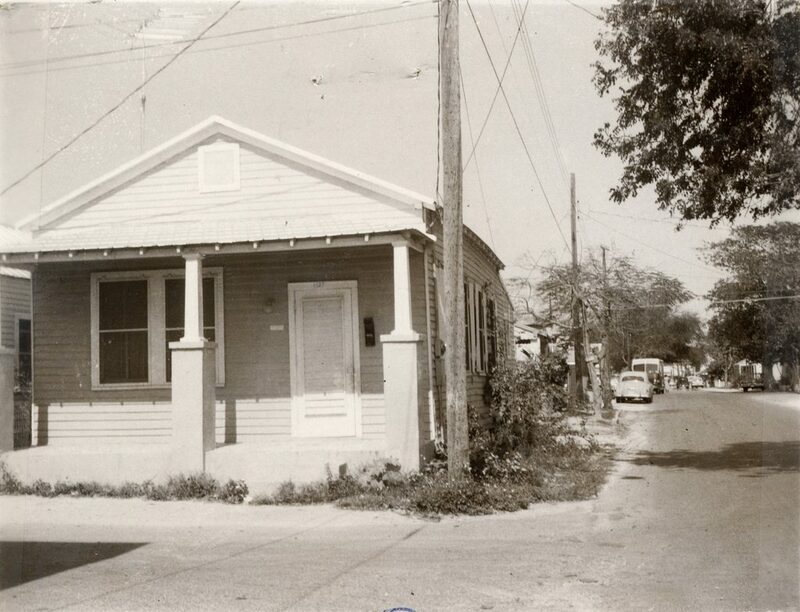 1127 Packer Street before it was colored Key West. 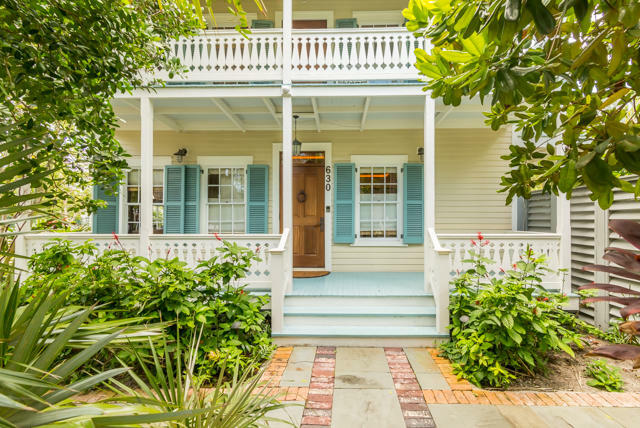 Although buyers often make the declaration that they are purchasing a property because it makes financial sense, the overriding reason is that it makes emotional sense for them. 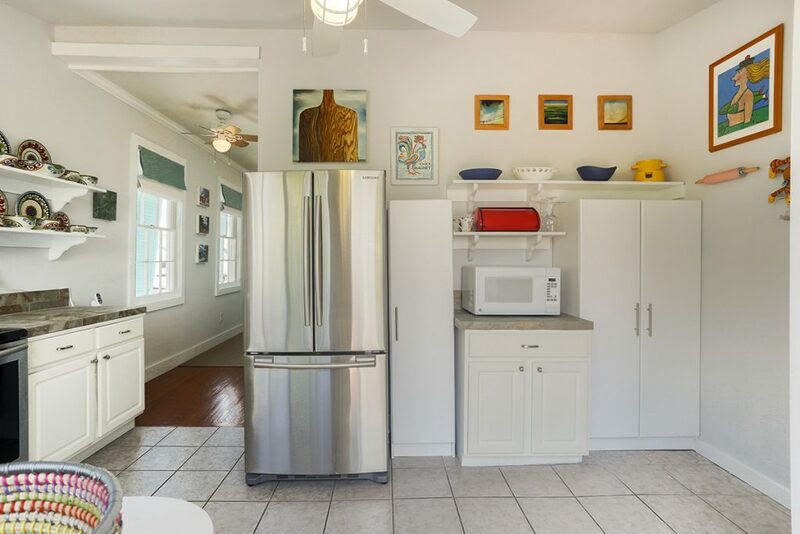 Frequently used to represent and elicit emotions, colors connect with individuals on a subconscious level. 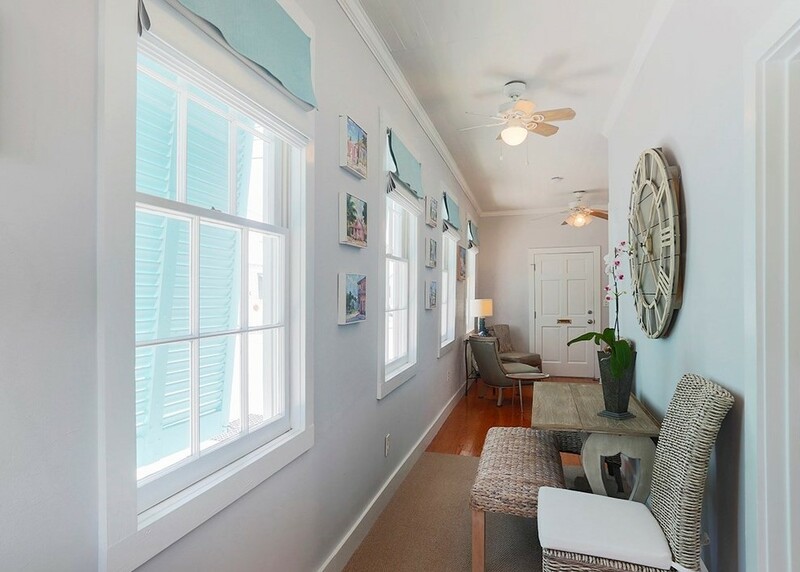 The house colors of Key West have come to represent the island’s lighthearted and carefree lifestyle that is envied around the globe. 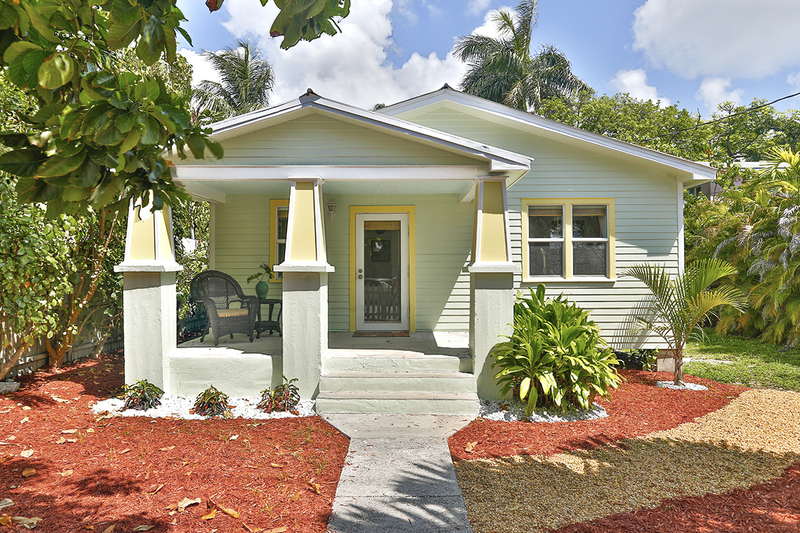 Key West colors not only enhance a cottage’s curb appeal, they greatly increase the home’s web appeal. 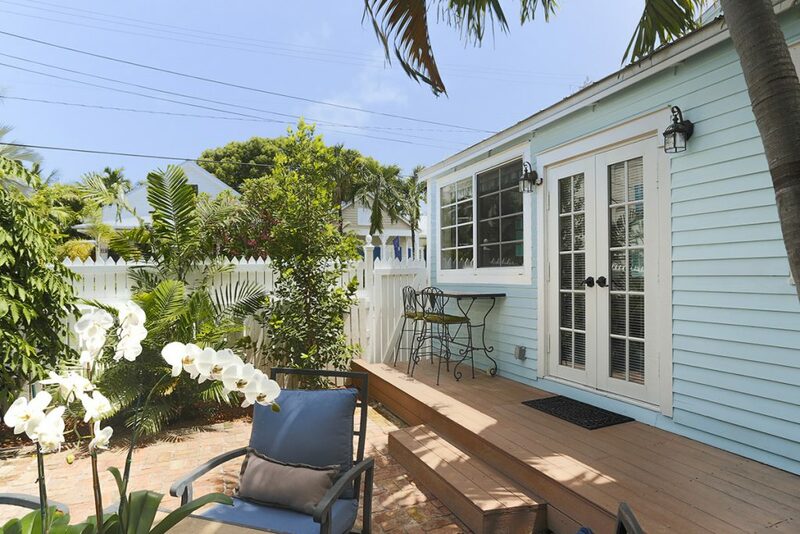 Realtor.com and Zillow.com primarily utilize images to market real estate on the smart phone in the pocket of nearly everyone looking to purchase property. 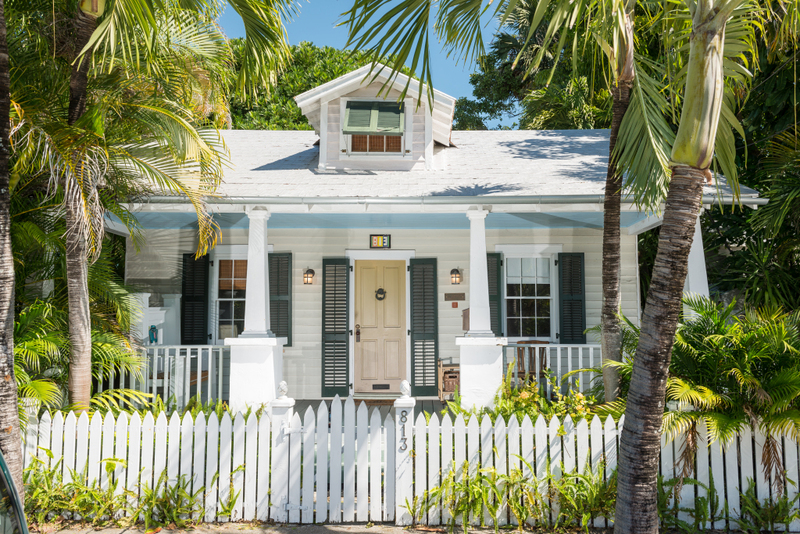 Bland, white or beige, shotgun cottages—that look like they could be easily transplanted anywhere—do not capture the attention of online shoppers looking for their island dream home. 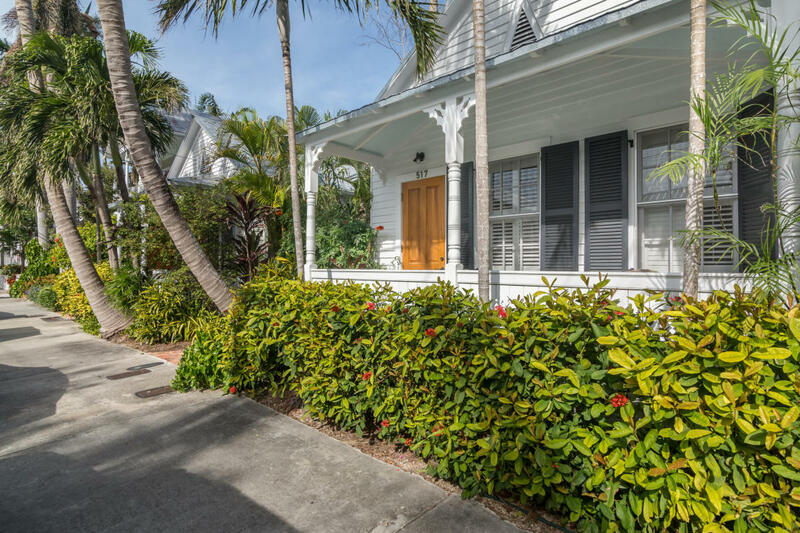 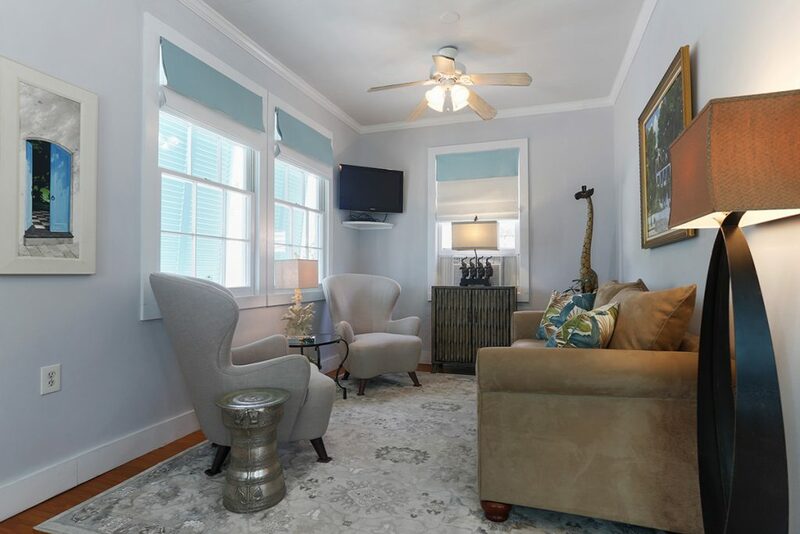 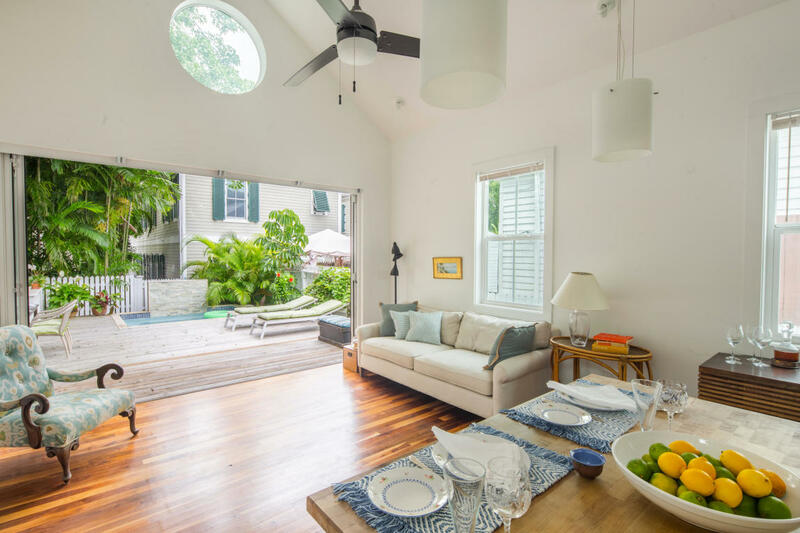 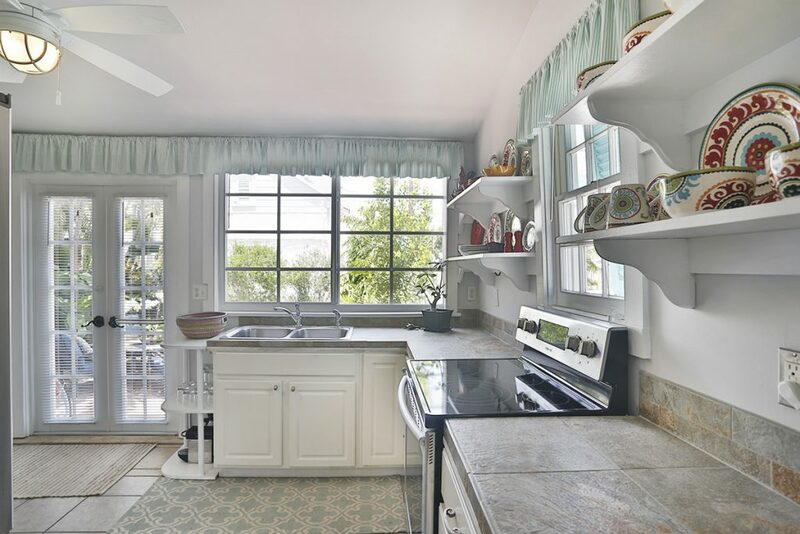 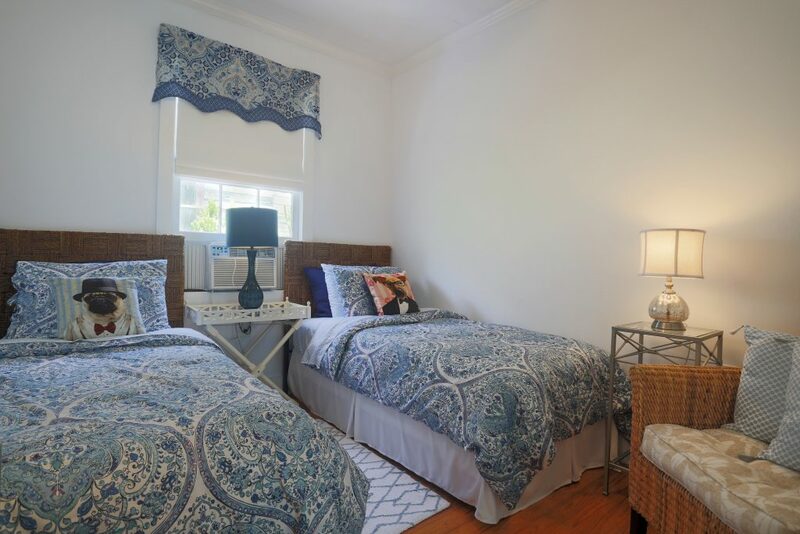 If you are planning to sell your conch cottage, wander around Old Town snapping pictures of the quintessential Key West cottages sporting color combinations that speak to you. 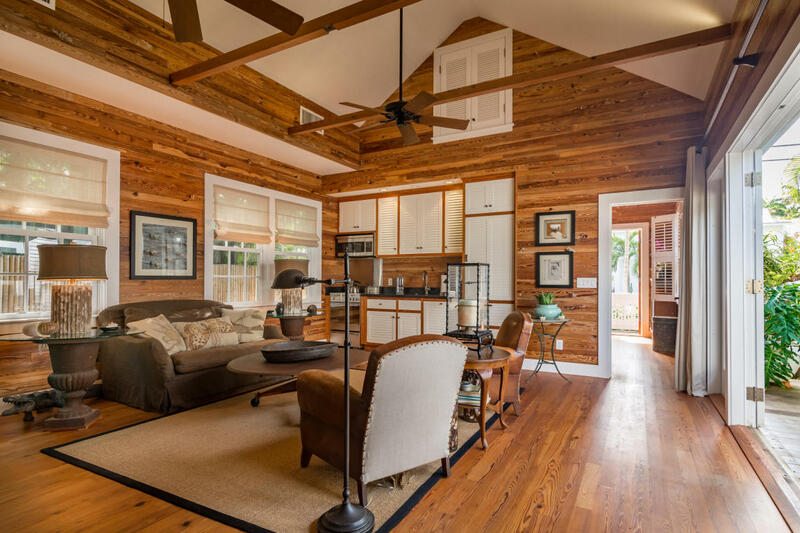 The coastal colors that garner a positive response from you, will undoubtedly grab the attention of buyers as well. 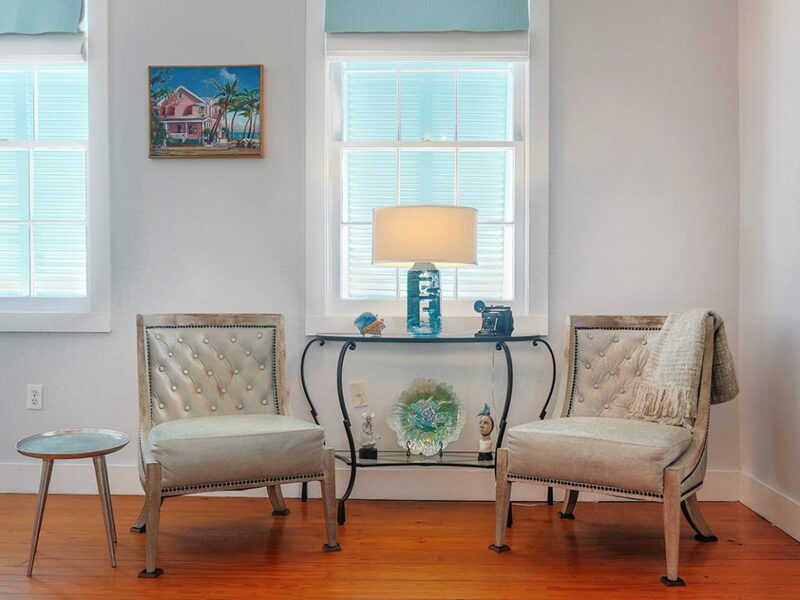 Pickup a selection of paint chips (with HARC approved historic colors) at Strunk Hardware and play with color combinations over a glass of wine with friends and neighbors. 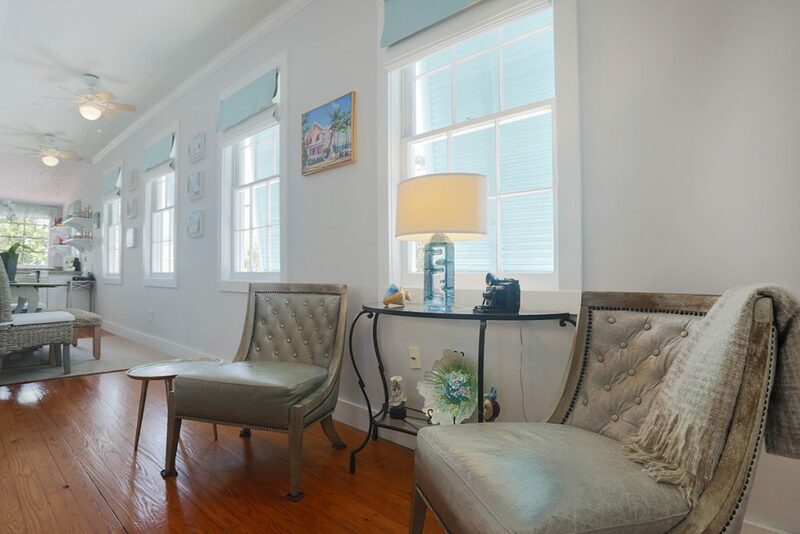 Once you have decided on the perfect color scheme, head over to City Hall to get the painting permit process rolling. 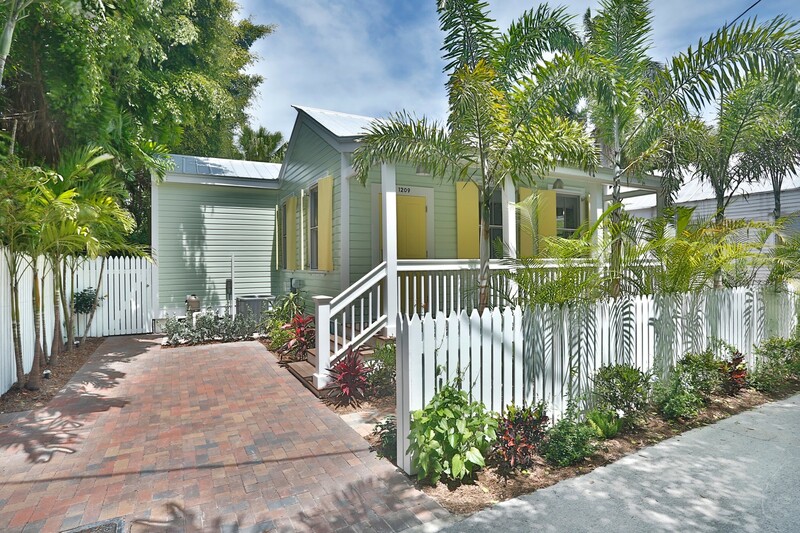 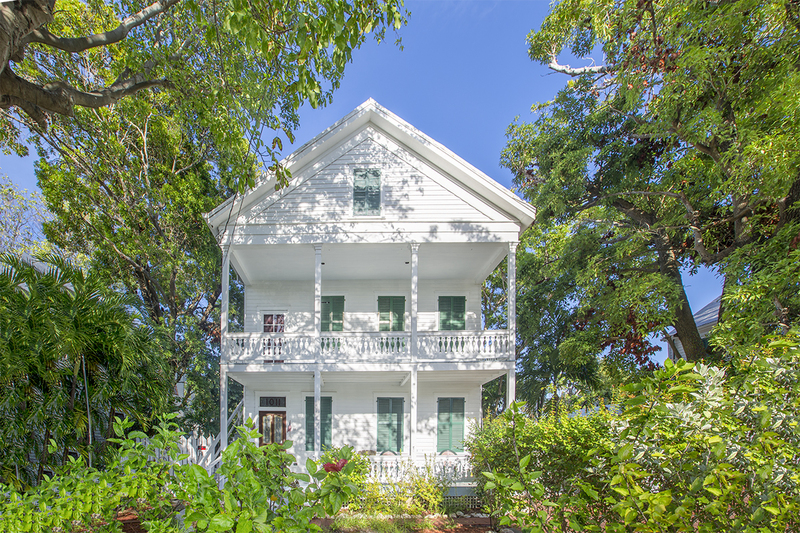 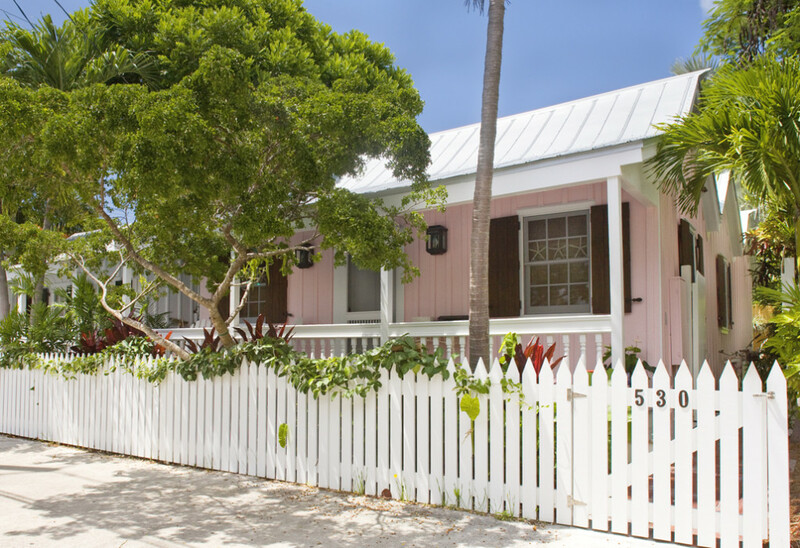 Painted to reflect the soft tropical colors of Key West, the cottage’s personality shines. 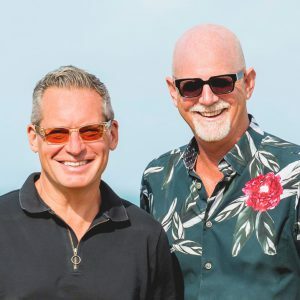 When successfully selling any product, you must give buyers what they want. 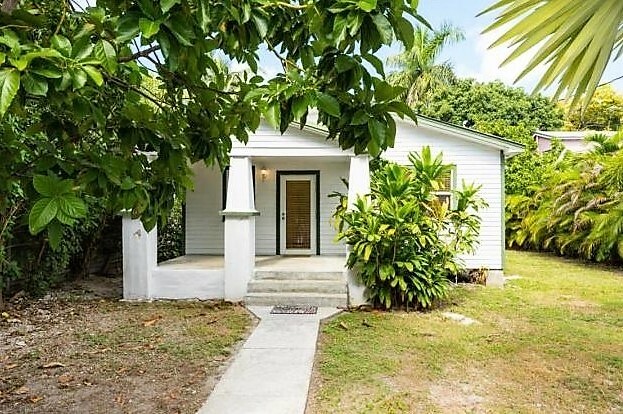 Key West cottage buyers want them to look like their fantasy. 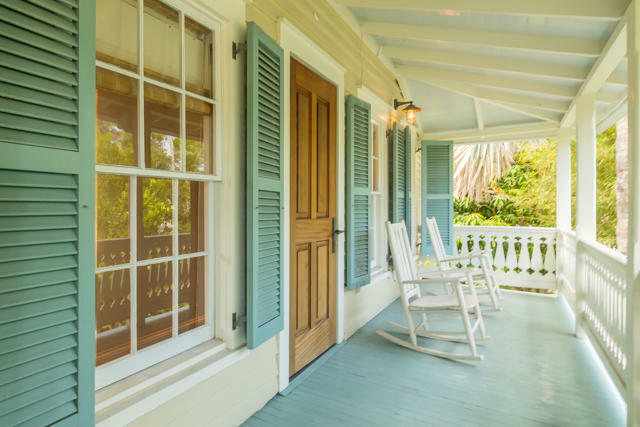 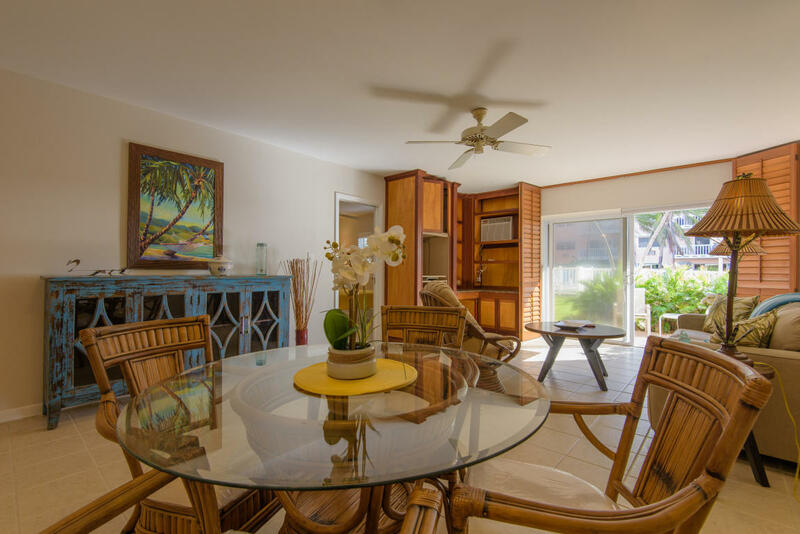 Reflect the tropical hues of the island’s sea, sky, and flora in the exterior colors you paint your home, and you will not only capture the imagination of eager buyers, you will get your cigar maker’s cottage sold quickly and for the best price. 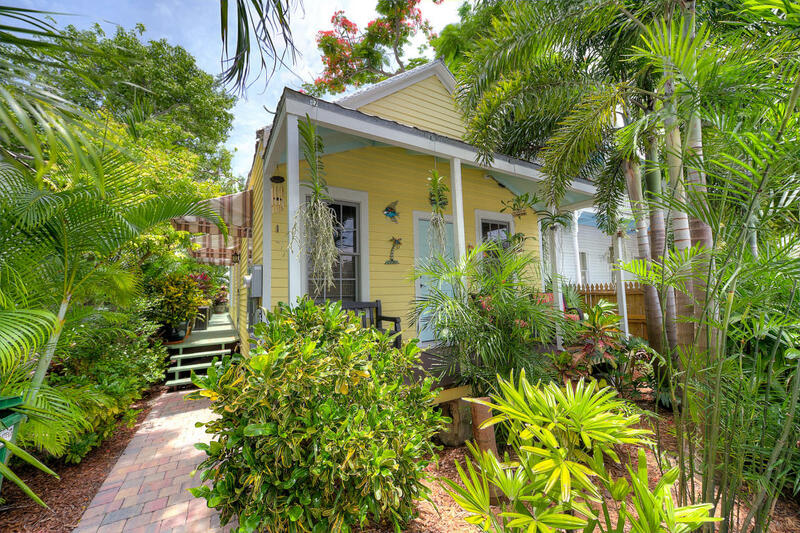 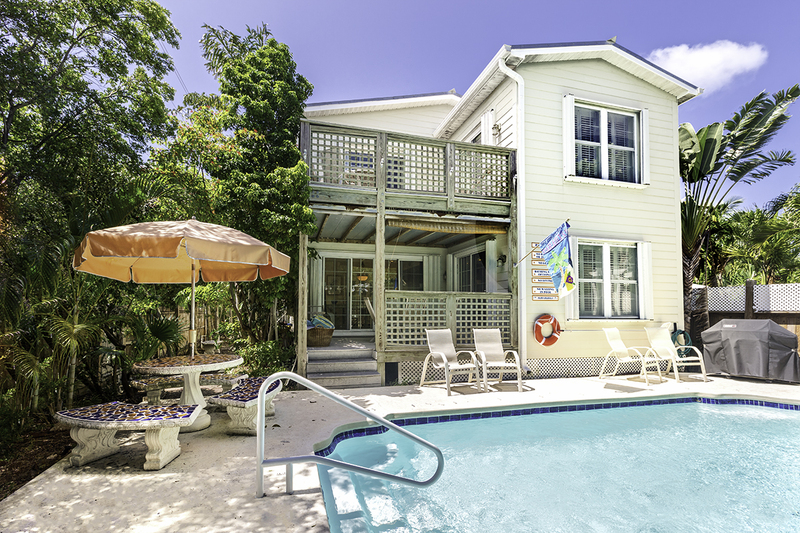 We strongly encourage our sellers to color it Key West before they offer their cottages for sale. 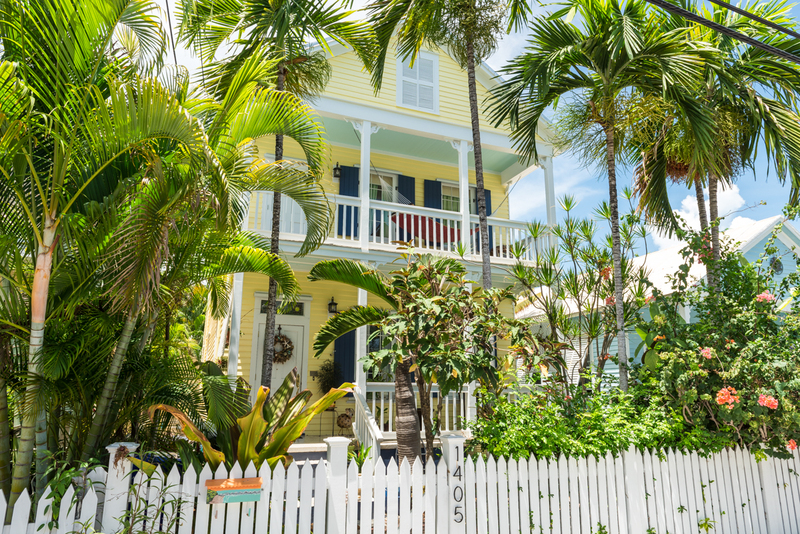 A tropically painted island cottage makes a winning first impression every time. 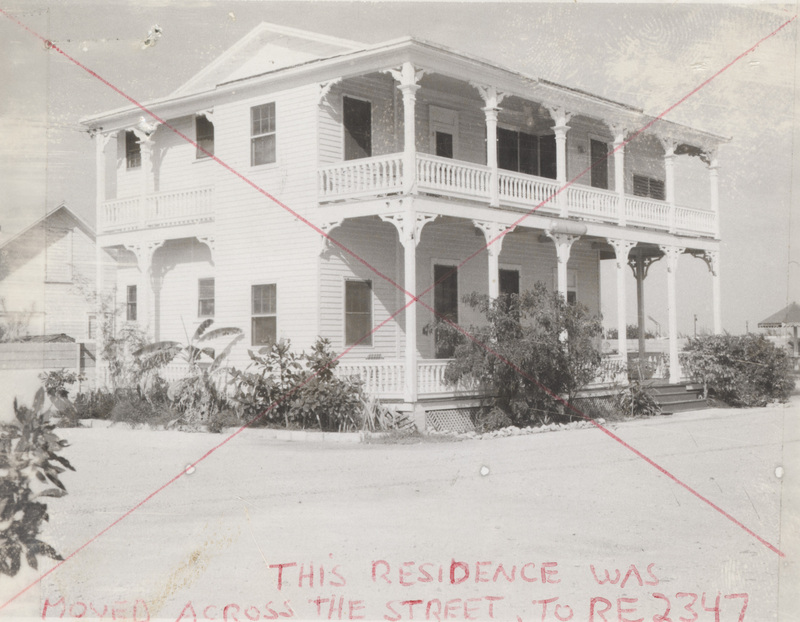 This entry was posted in Key West History, Key West Real Estate, Key West Real Estate Advice and tagged Conch Cottages, cottage style, Florida Keys, homes, Key West, Key West cottage style, Key West cottages, Key West history, key west real estate, Old Key West, Old Town Key West, real estate, Shotgun Cottages, Victorian gingerbread on June 1, 2017 by Dean.